From casement PVCu windows, to sash or tilt and turn, we can manufacture and install a wide range of styles to suit your home. 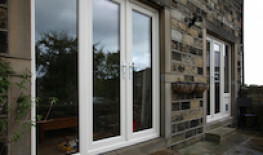 We manufacture and install a wide selection of PVCu door styles from residential front doors to French or stable doors. 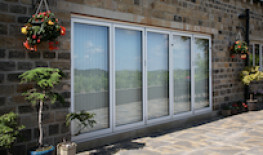 Bi-fold, sliding or patio doors - the ideal solution to let in light and bring the outside into your home. 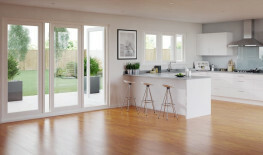 PremiFold - a revolutionary slide, swing and folding window on door system. 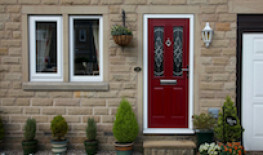 We manufacture, supply and install strong, secure, and aesthetically pleasing standard and bespoke composite doors. 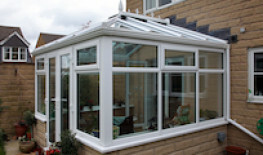 Whether traditional or contemporary we will design a conservatory to your specification, style and finish. 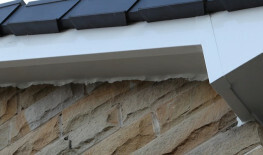 Ensure your home is protected from rot and weather damage with high quality roofline products. 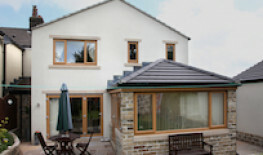 Whether you're looking for PVCu windows and doors, conservatories, aluminium bi-fold doors or composite doors, here at the Lockwood Window Company we can guarantee quality and service which is second-to-none. We manufacture, supply and install our products for domestic and trade customers throughout Huddersfield, Yorkshire, and the UK (details on request), and are confident that you will be completely satisfied with our service. To view our extensive range of products, click on the links above or below or visit our showroom. To request a free, no obligation survey, please get in touch and we will arrange a convenient time to visit you.